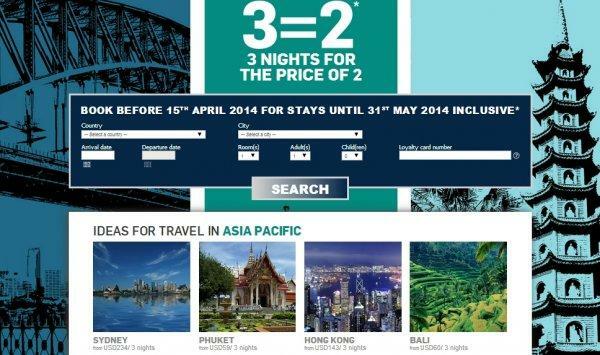 Accor has the Spring 2014 3=2 (33% discount) preview sale now open for Le Club Accorhotels member stays worldwide. This offer is valid for bookings made between March 18 to April 15 for stays between April 1 and May 31, 2014. The offer is valid for says in Great Britain until February 28, 2015, and in Germany/Austria/Switzerland until June 30. Note that Accor Advantage Plus members are eligible for further 10% discount for stays in Asia Pacific. The 3=2 rate at the Novotel Nathan Road is $120/night before the 10% service fee that is good for a midweek stay in Hong Kong (hotel prices are nuts nowadays due to the number of mainland visitors). 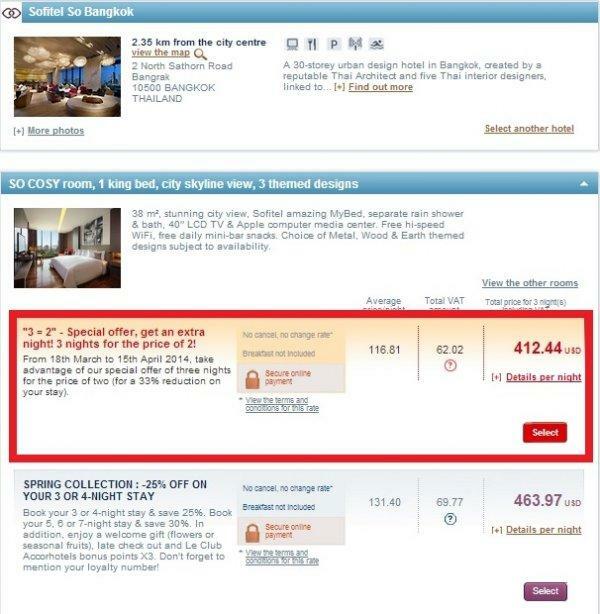 The price for a midweek stay at the Sofitel So in Bangkok is also lowest using this rate plan. You should check this rate offers if you have three day stays coming up at the participating locations during the promotional period and you can commit to a prepaid/noncancelable/nonrefundable rate. Guests booking three nights for the price of two agree to have read and accepted the following terms and conditions: Offer valid for bookings made between 18th March and 15th April 2014 for Le Club Accorhotels card holders and Accorhotels.com subscribers, and between 25th March and 15th April 2014 for the general public, prepaid online at www.accorhotels.com for one or more stays between1st April and 31st May 2014, inclusive, at all participating hotels. Exception for Great Britain – stays from 1st April 2014 to 28th February 2015. Exception for Germany, Austria and Swiss- stays from 1st April 2014 to 30th June 2014. Offer valid on three-night stays only. The free night is calculated by applying a 33.33% reduction per night – based on the NORMAL unrestricted RATE for the dates requested upon reservation. – for stays of exactly three nights. The offer is available on reservations made at least five days in advance. 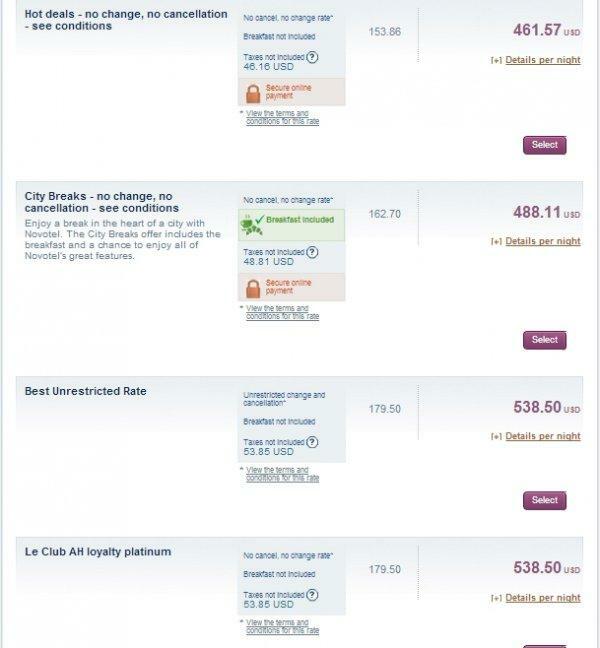 Payment must be made online by card at the time of booking. 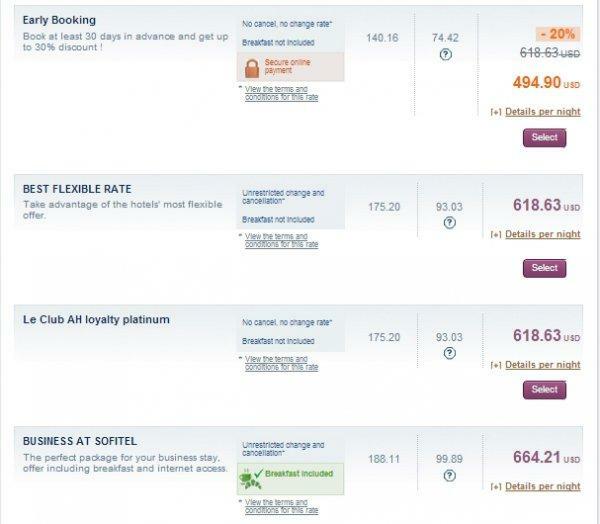 This offer cannot be changed, cancelled or exchanged after booking and it cannot be combined with any other discount (s) or special offer(s). Offer valid in participating ACCOR hotels subject to availability of allocated rooms. Black-out dates may apply.